Attention: In order to access and use the Crowd Marketplace app, you must have a Crowd Service license. 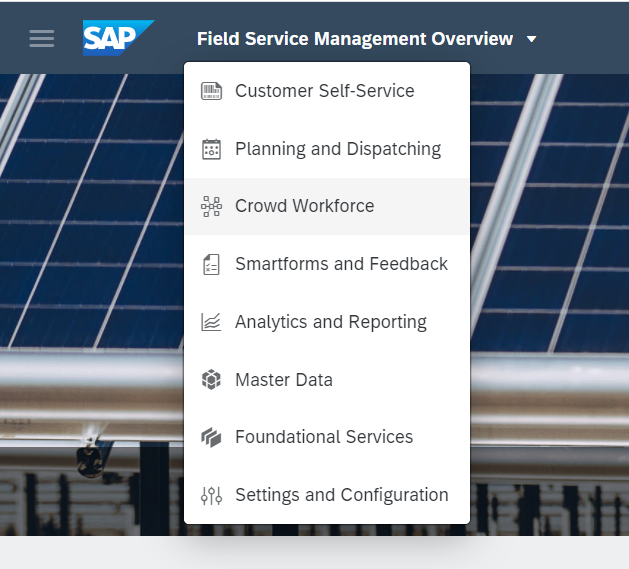 Once the license has been purchased, the Crowd Marketplace app must then be enabled by a SAP Field Service Management consultant. Only once those steps have been completed can the steps outlined in the following guide be successfully completed. 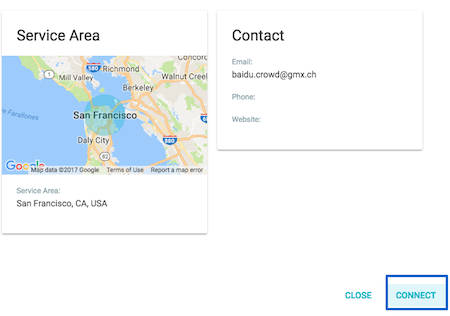 The Marketplace is used to view and manage crowd service partner records and send invitations to join the crowd service marketplace. When a company has accepted an invitation, created an account and company profile, their record will then appear here. Name The name of the service partner. Industry The industry in which the service partner is categorized. Intro An overview or introduction of the service partner, their offered services or specialities, etc. Street The service patner’s street and house number. City The city in which the service partner is located. State The state in which the service partner is located. ZIP Code The ZIP code associated with the service partner address. Service Area The service area in which the service partner operates. Phone The phone number of the contact. Website The website of the contact. You will then be prompted to enter an email address. The partner will then go through the account creation and company profile steps described in the following topic. 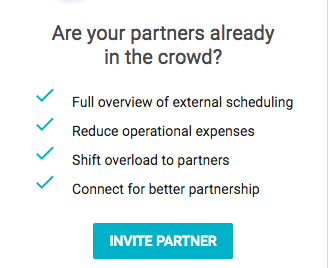 By selecting a crowd service partner record, you can send a “connect” request to companies that have completed the account creation and company profile creations steps. When the crowd service partner accepts the connect request, you will then be able to assign activities to them. From time to time, it might also be necessary to terminate a service partner connection. This can be done by selecting a service partner record from the My Connections view, and selecting the TERMINATE CONNECTION option.